Our range of exciting wine tastings and events cater for the novice to the wine buff. From winemaker tastings to degustation dinners to our hugely popular team hosted tastings, they offer a great forum to enjoy and learn more about the world of wine. Pre-purchase tickets to secure your place at these excellent events. 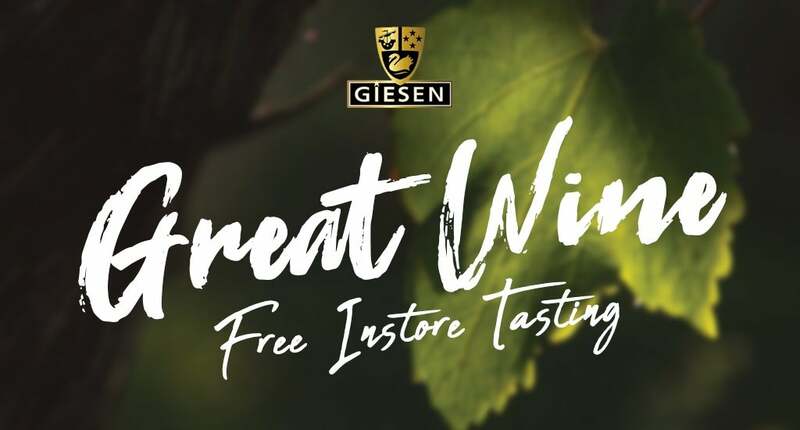 2:30pm - 5:30pm, 27 April 2019 Constellation Dr.
Head on in-store for a FREE tasting of Giesen's Wine Range. One of the team from Giesen will be on hand to answer any questions you may have. The Giesen Brothers range expresses the best of the Giesen vineyards transporting the drinker on a journey of taste sensation. The range offers various reds, white and dessert wines for all occasions. We look forward to seeing you there!